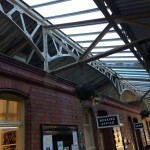 Broadway canopy will be built using GWR drawings from the building at Keynsham. It will look exactly like Toddington (seen here) and the iron work will be built in-house in the Steam Department. Heritage Railway magazine reports that the issues over the proposed station building at Broadway have been resolved so perhaps it is ok to poke my head above the parapet just once more and make a few general comments about what has happened from the point of view of the preservation movement as a whole. Some have said it was making a very petty mountain out of a very small molehill but for some passionate folk there have been some very important points of principle at stake that we should think about. As someone quite close to the action in the GWSR case but also as a supporter of other railways where similar events have occurred, I would say that the main issue almost always comes down to the question: ’whose railway is it anyway?’ Hundreds of people belong to our heritage railways and there is nothing that upsets the hard-working volunteer as much as getting the impression that someone is making decisions on their behalf without asking their opinion about them. As a Board member, you forget this at your peril because volunteers will grumble at how things are, grouse at lots of small (and in their eyes bad) decisions that are being made on their behalf (but without any consultation) and they will continue to go grumpily about their business, quite often for years, until something inflames them so much that there is suddenly a huge explosion and everyone gets a bit traumatised at the intensity of emotions that come to light. 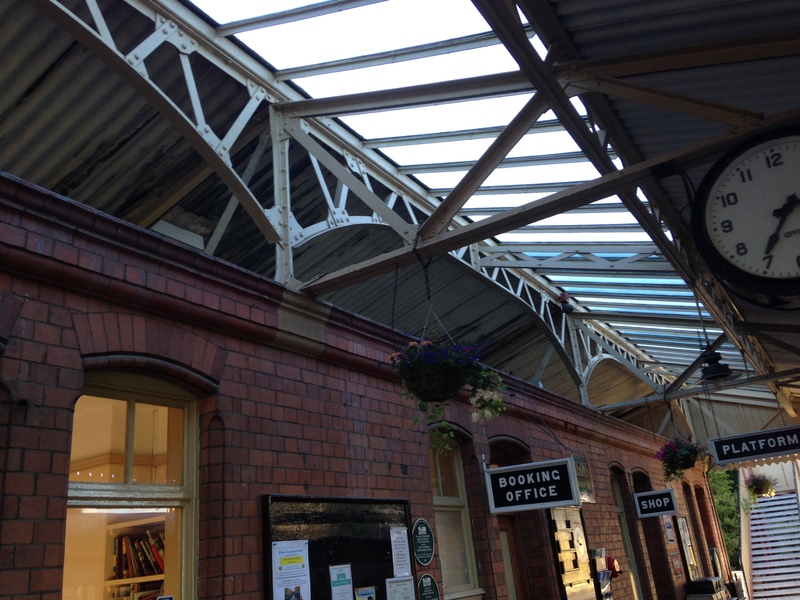 So what can we learn from this station canopy business and other recent events at places like the WSR and SVR where people get furious and leave or meet in small groups of conspirators to organise revolutions? First and foremost we all need to get much clearer about what sort of railway our members want. Do they want to just operate a tourist orientated railway and give pleasure to people who travel on it without paying too much attention to the heritage issues? Or do they feel that the heritage aspect is an absolutely core issue and that the railway should be developed in the context of certain key principles of authenticity to how it used to look ‘back in the day’. This requires much better communication: a proper debate and Board members who want to be loved should find ways of making sure they are swimming with the main current of volunteers who are, after all, the ones who, through their contributions, make the whole enterprise remotely viable economically. Second is the issue of tolerance and flexibility. There are too many examples up and down the country of people in posts of responsibility who feel they must stick to their guns no matter what, regardless of the opposition to their ideas. Some of these are prone to a certain amount of egotistical petulance when opposed and some in my experience actively seek to drive away individuals and groups who do not agree with them. Our railways need all to be broad churches where debate is free and open and where disagreement is ok and tolerated. There have to be ways and means established so that all members can feel in their bones that what they want is broadly what their Board is working for. The Board is there to run things organisationally, make sure the books balance but overall, they are in a position of service, not just to their own railway but also, I maintain, to the preservation movement generally. Trouble will usually brew when this relationship is the wrong way round. My guess is that we are all trying to preserve, hold in trust and develop for future generations wonderful living museums of the age of steam and the heritage of our railways. Any Board member who keeps that in the forefront of their mind in whatever capacity s/he serves will broadly always be doing the right thing. And that is why the issue of the Broadway station canopy got so entangled. It was not a huge issue in itself but The Board appeared to members to be putting forward plans that flew in the face of a strongly held desire among members to make Broadway a heritage gem of a station so a clash was always going to be inevitable. The first question that should always be asked in these situations is, ‘how do we go about this development so that it is as closely in keeping with the highest principles of heritage recreation as we can?’ and the second question should be, ‘who in our organisation needs to be consulted about this before we get going’. Not rocket science is it? It all got personally upsetting at times as well as being unnecessarily time consuming and exhausting for protagonists on both sides of the argument. However, at least we got there in the end (as soon as they got off their email pedestals and sat down in the same room together, it turns out!). Wisdom has prevailed and we can now be assured that whenever we arrive at Broadway, either by train or car, we will all look at that building and feel pride that it has been ‘done right’ by the highest standards of attention to historical detail. A good result. So let’s just all learn lessons from each other in these situations and move on. On the GWSR at least, we still have an awful lot of Great Western mainline railway still to rebuild to and beyond Broadway, not to mention in the other direction beyond Cheltenham Racecourse!